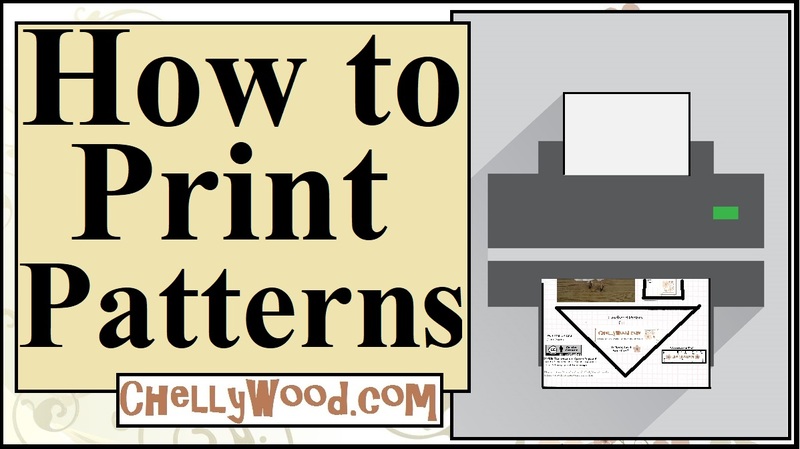 I posted these patterns at Christmas time, this past December, but I forgot to put all the patterns and tutorials together in one spot for a link from the Gallery Page to the patterns. When one of my followers mentioned this oversight, I visited my Gallery Page to see if she was right. Only then did I realized there are actually SIX of these unlinked photos from my Gallery Page! Whoops! I need to go back and re-post those. So over the next few weeks, I’ll try to get those posted. 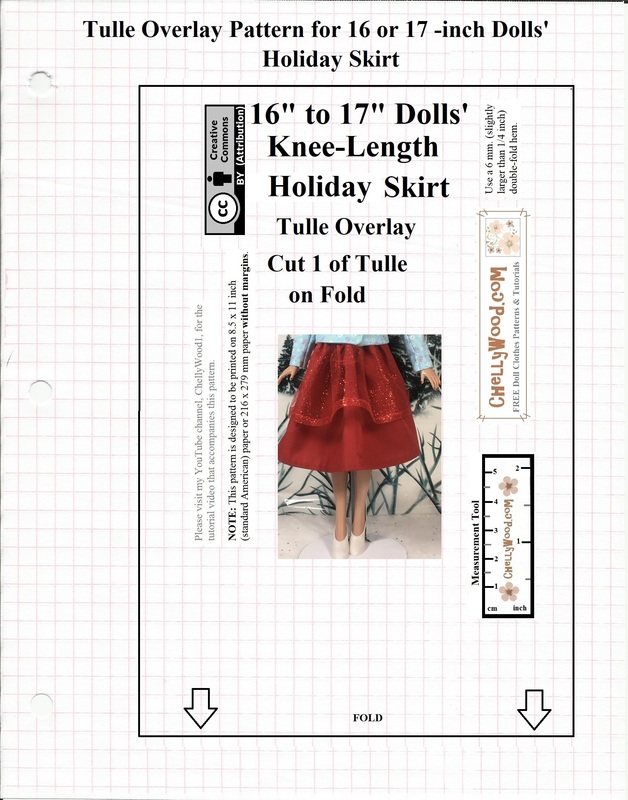 I also have a Monster High/Ever After High dress pattern and tutorial that I’m working on for St. Patrick’s Day. 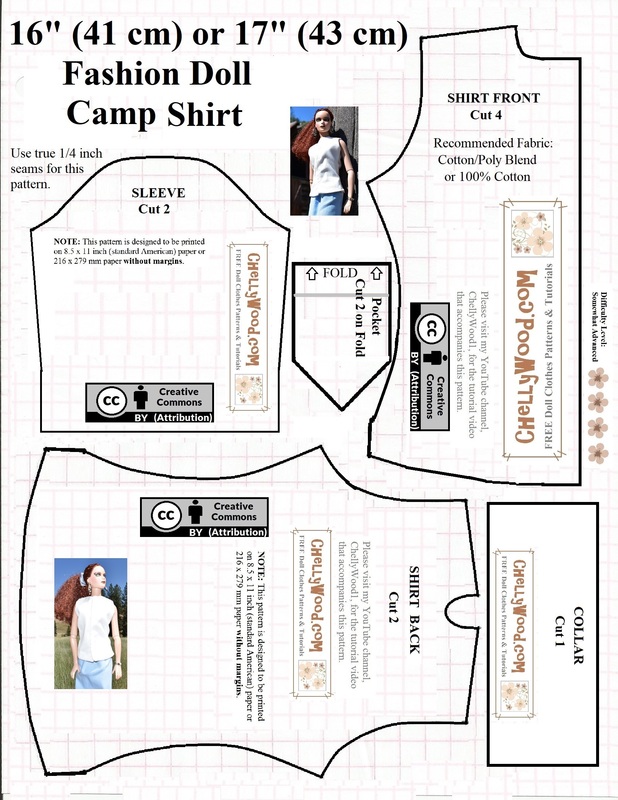 It’s not from last year’s set, but an old pattern revisited and re-designed with a puffy short sleeve. It’s not done yet, so I hope I’m not tooting my horn too soon… We’ll see how it turns out before I actually post it. 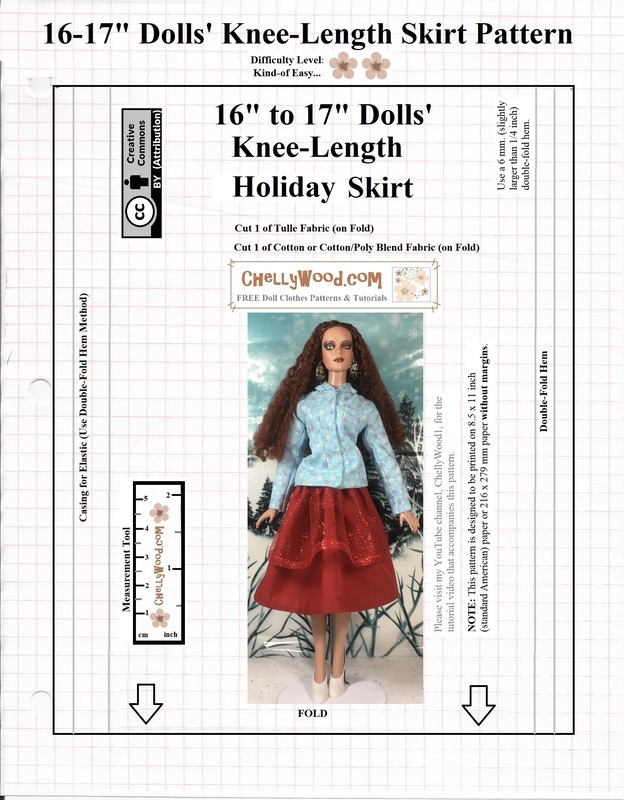 In the meantime, here are my patterns and tutorials for sewing the collared shirt-jacket and lovely holiday skirt that my 17-inch Tonner doll is wearing above. If you’re not familiar with the Tonner® doll company, I recommend taking the time to tour their website. Their dolls are extremely well-designed and beautiful. They come in many different shapes and sizes. I feel honored to own one of their lovely creations, and I’m very grateful to a friend of mine, Julie, who sent this lovely doll to me in the mail as an incentive to design some patterns. Thanks again, Julie! 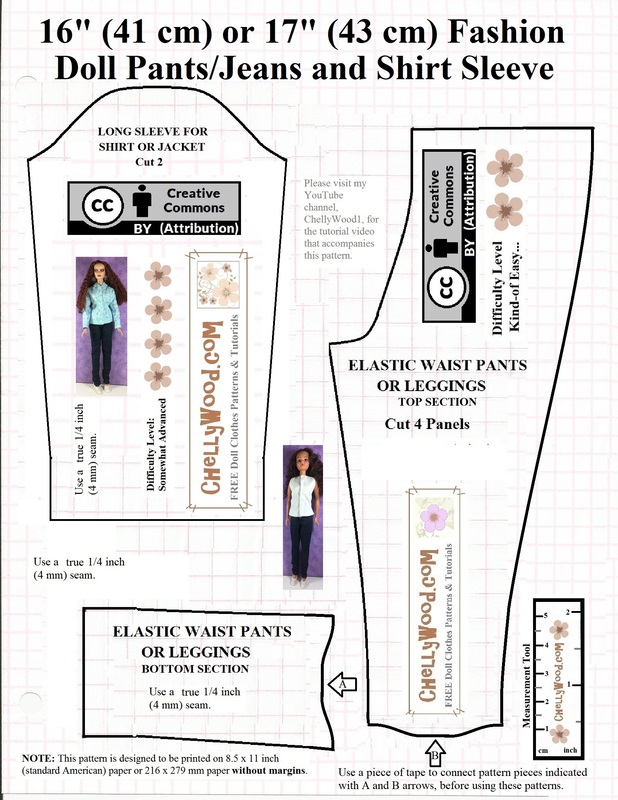 I hope you’re having lots of fun making doll clothes for your Tonner dolls with my patterns! Also, I’ve tried this holiday skirt on my new 17″ Endless Hair Princess Barbie, and it does fit, but the top is a wee bit snug. Without the darts, the top does fit my 17″ Barbie though, and it looks nice on her.